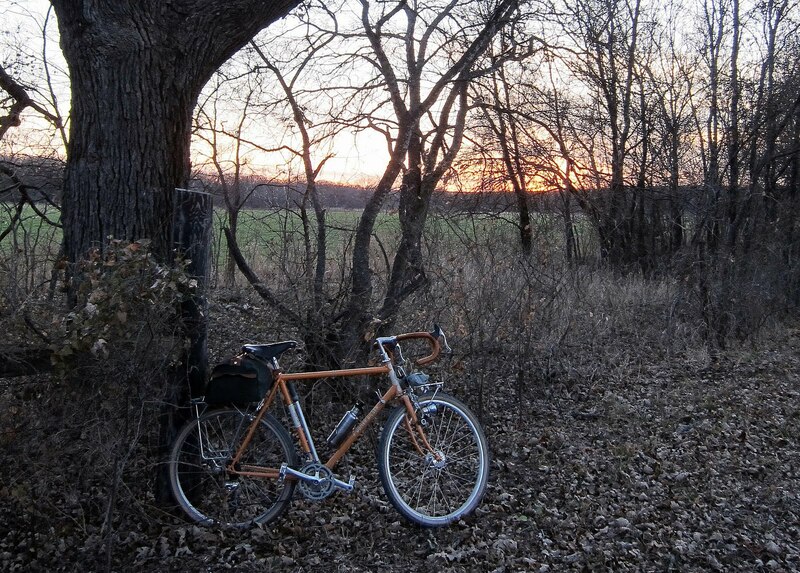 A bicycle rolls down into the valley, and from rough pavement to a gravel road. A stiff wind lays down, replaced by silent stillness. A sun’s warmth is overcome by a crisp chill. A blue winter sky turns grey, then darker yet. A man’s workday pace relaxes into dawdling. And the bicycle climbs out of the valley, behind a small beam of light, as darkness covers everything like a blanket. That is incredible! I believe that is the written explanation of why we ride. Poetic! Funny you should mention the lighting, Steve. I'm planning a lighting upgrade. Out here on the prairie, my beam of light will still be comparatively small…but brighter.